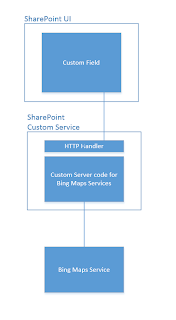 Bing Maps services provides a feature for geocoding. A way to increase user input address quality, for example in SharePoint, is to present address quality feedback for the user. I've done that with a custom field. After that the server side development is pretty straight forward. 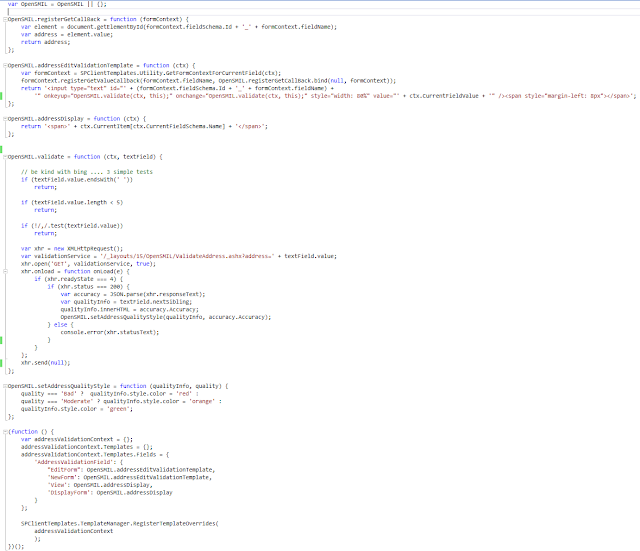 As you can see in the image to the left the server code is divided into two seperate parts. 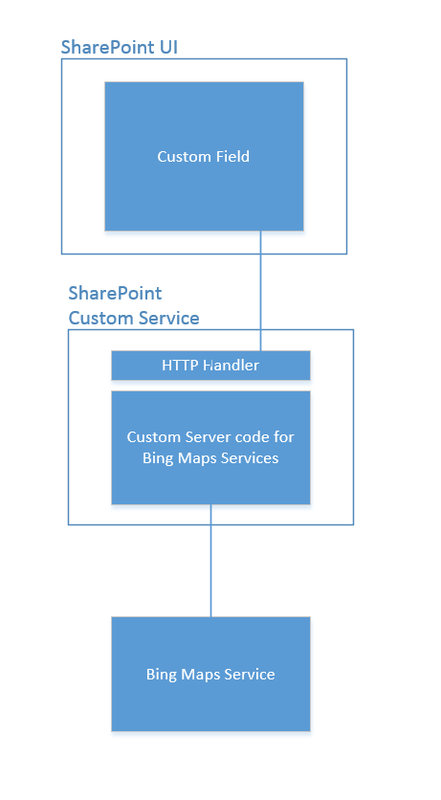 The HTTP-handler, wich just needs some codebehind and let the other code worry about the Bing geocoding logic. 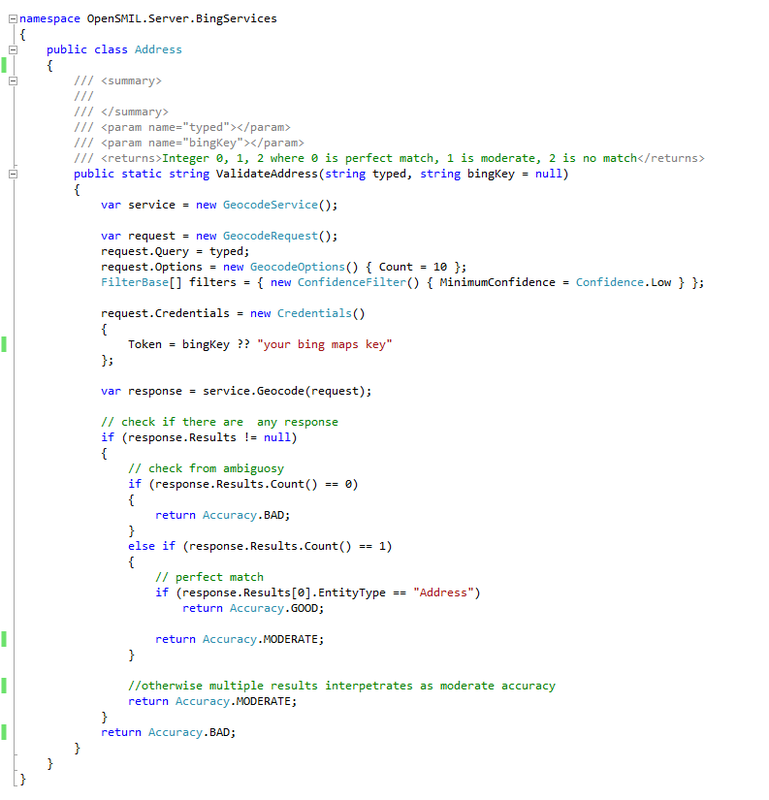 And that is just a few lines of code. 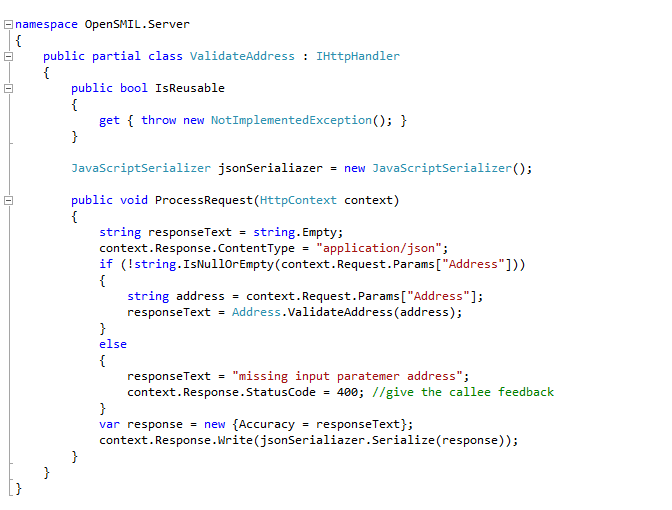 And the code to ask Bing..
That's all for the services. In order to build a custom field here is a tutorial . And this article can come handy. 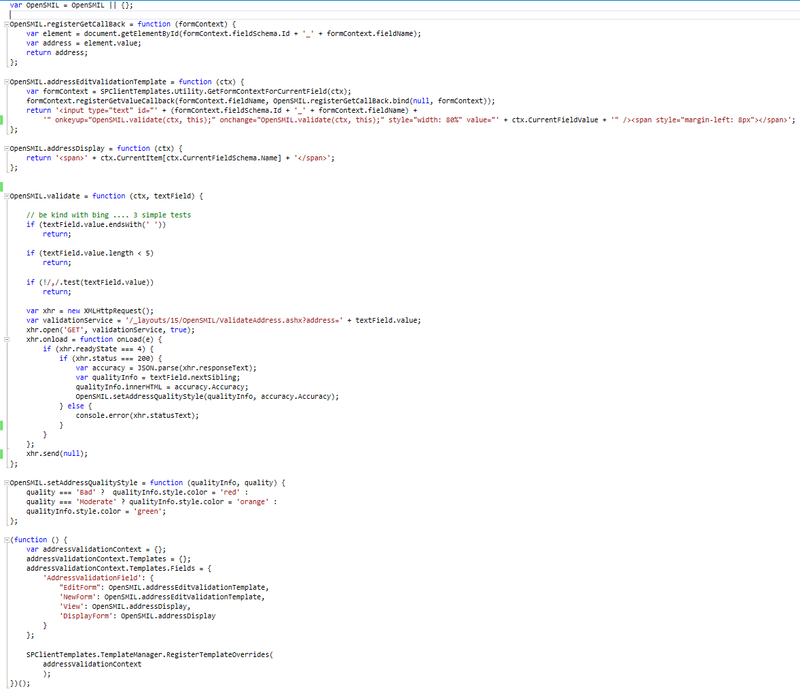 I'm almost done, all that is left is a XML-file describing for SharePoint about this field. That is it. All code is available here.